Like all of the topics we are covering, memory is a huge topic and typically has an entire graduate course devoted to it. Here, we will cover some of the basics. 1. See the image at the top. Ensure you understand the basics of this image. You may want to note that modern memory theory sometimes splits long term memory into "long term memory" and "long lasting memory". 2. The text states "Short-Term Memory Maintains Transient Representations of Information Relevant to Immediate Goals". What is meant by this? 3. The text states "Short-Term Memory Is Selectively Transferred to Long-Term Memory". What is meant by this? 4. What does figure 65-1 tell you about how working memory "holds" information? 5. The hippocampus plays a key role in the formation of long term memories (see Figure 65-2). What does the hippocampus appear to do? Note, who was HM and why was he important. 6. Long term memories are typically split into explicit and implicit types (also called declarative and non-declarative). Explain the difference between explicit and implicit memories. 7. What is the difference between semantic and episodic memories? Discuss the neural basis for the storage of episodic and semantic memories (pgs 1447-1452). 8. There are four phases to the memory process: Encoding, Consolidation, Storage, and Retrieval. Review what each of these steps entails. 9. What are implicit memories? Discuss in more detail using pages 1452 to 1454 ONLY! (Do not worry about classical conditioning, we will cover that under learning). 6. 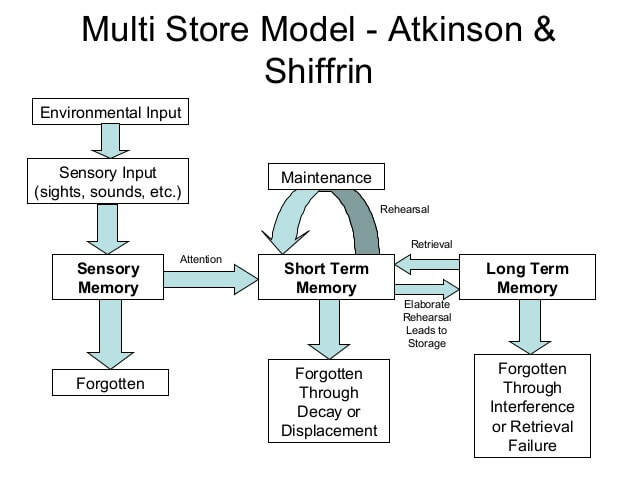 Using the figure provided at the start of the lesson on memory (top of this page), provide an overview of human memory (short term, long term). Ensure that you provide detail specifically relating to how short term and long term memories and maintained within the human brain.